I don’t often do Mexican food (or my interpretation of Mexican food). for some reason, Surly Dwarf just doesn’t trust it. Occasionally though I rebel and push for something Mexican around here. Usually, it’s tacos but lately I’ve been wanting these enchiladas I used to make when I was a teenager. 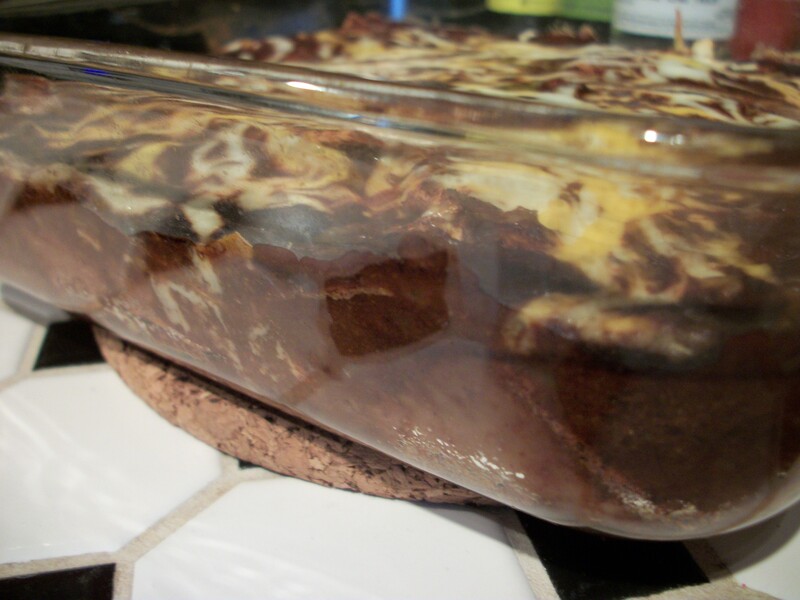 I wanted to change them up though, I figured doing them like a lasagna would not only be easy but fun too. I was right. Instead of a meat filled enchilada I decided to make a simple bean filled one, great for those meatless nights. Total success, it was so good even Surly Dwarf went for seconds on this one. It may not make for the best picture but it is full of delicious. Combine beans, applewood seasoning, chili, and a pinch of salt in a bowl. Set aside. Spoon a couple of tablespoons worth of sauce into a 9×9 glass pan. 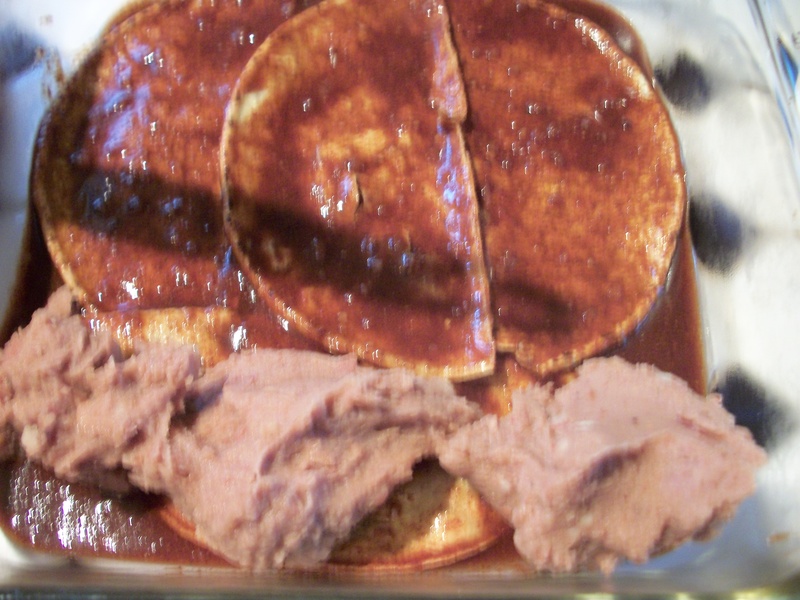 Cut a warmed tortilla in half, dip in the warm mole sauce. Once pliable but not over soaked place in the pan. Repeat to create the tortilla layer using two of the tortillas. 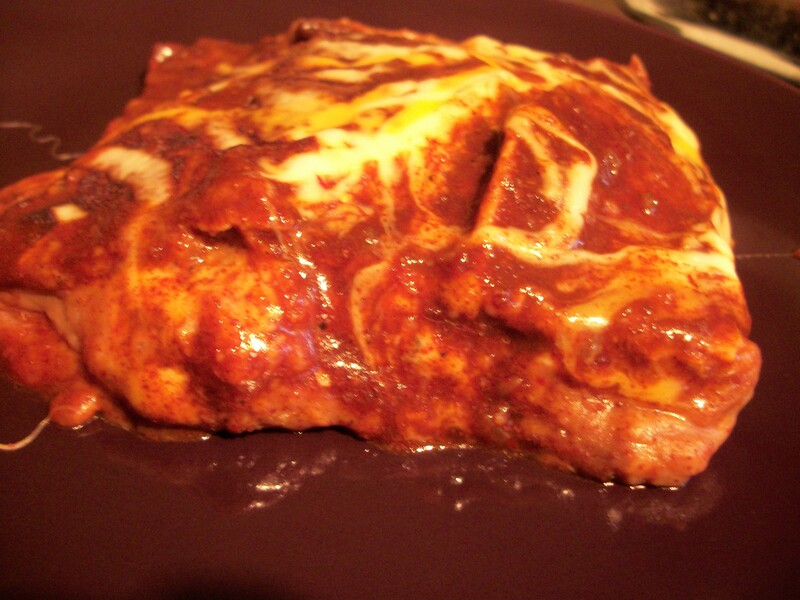 Top the tortilla layer with the refried bean mixture and half the cheese. 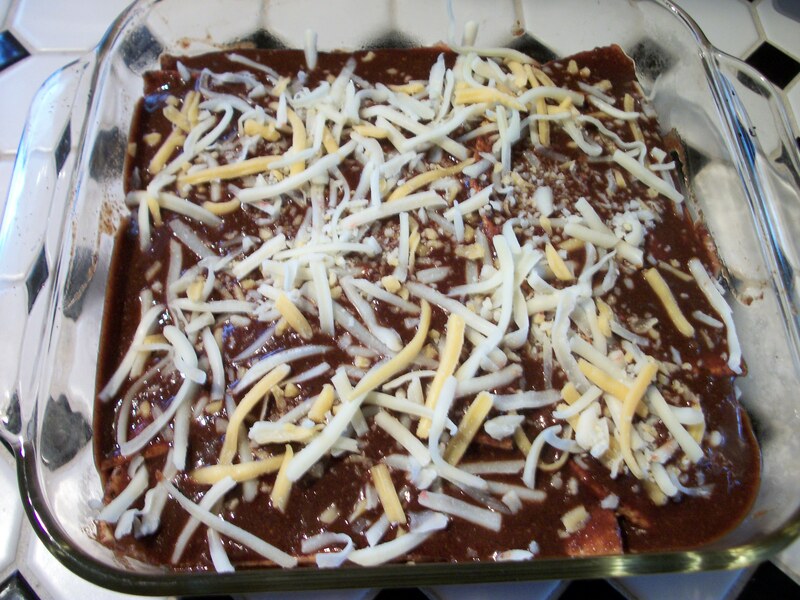 Layer the rest of the tortillas, pour the sauce remaining carefully on top, and then top with the rest of the cheese. Bake at 350F for 30 minutes covered with foil. Remove foil and bake for an extra 5 minutes. Allow to sit for 5 minutes, slice into four slabs and serve. Makes four servings. Each serving contains 275 calories, 7.9 grams fat, 38.8 grams carbs, 7.3 grams fibre (I know! ), and 15.1 grams protein. So filling, so nummy, and far less fat than a Mexican restaurant would wallop you with. Enjoy! This entry was posted in Comfort Foods, Craving Buster, Dinner and tagged Bean, mole, tortilla, vegetarian. Bookmark the permalink.